Like many Philadelphians, one popular tourist appears ready to return to the Jersey Shore soon. 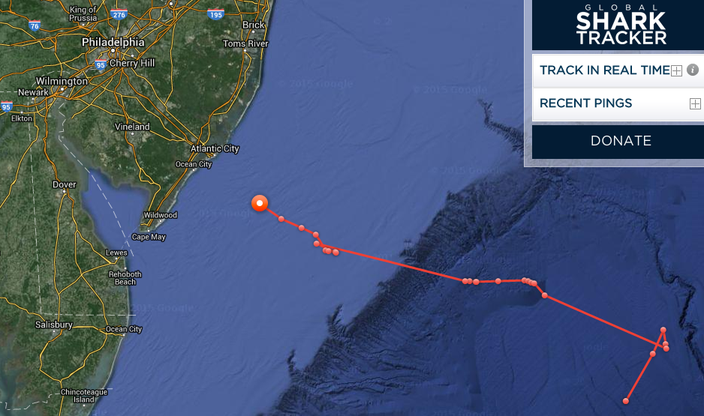 Mary Lee, the 16-foot, 3,456-pound great white shark, made a right turn this week and has been heading to the Jersey Shore ever since. The shark made waves on Twitter at this time last year and appears content to make the visit an annual event. 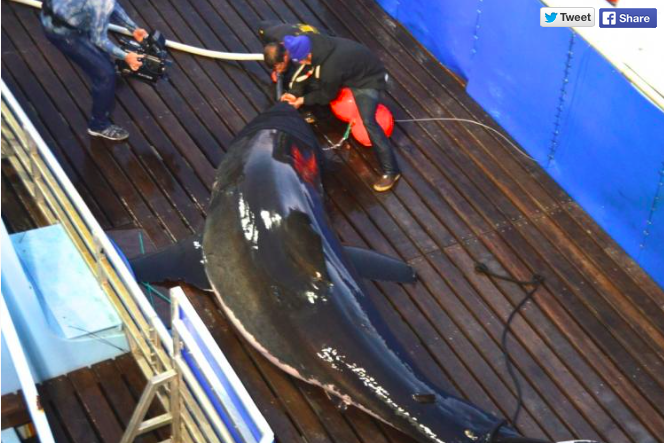 OCEARCH, a nonprofit research organization devoted to the study, safety and tracking of sharks, has tracked Mary Lee with a GPS device since September 2012. The device is able to locate the shark every time its dorsal fin surfaces above the water.